The palpable fear among many Zimbabweans that 2019 would become yet another "annus horribilis" — Latin for a horrible year — has become a harrowing reality, with the country's political and economic situation declining ever more rapidly, the Daily News on Sunday can report. This comes as the sickening events of the past week have disabused even the most optimistic Zimbabweans that "all will be well soon", and that "things can't get worse in the country" — as the economic rot ravaging long-suffering citizens continues to deepen. So bad is the situation in the country that a senior ruling Zanu-PF bigwig who is also horrified by the sudden turn of events for the worse in Zimbabwe lamented in a conversation with a Daily News on Sunday staffer on Friday that "our very lives and future are now in the hands of the gods". "Things are beyond bad, and the worst thing is that people don't even know half of the things that are happening and that continue to go wrong ... and comrades (Zanu-PF leaders) are also not reading from the same script," he said ruefully. Prominent Zanu-PF member and former Finance deputy minister, Terence Mukupe, later bolstered this view — writing on social media that the country's worsening mayhem and the State's much-criticised savage clampdown on protesters and other dissenting voices in the country might be unfolding without the participation of President Emmerson Mnangagwa who is travelling in Europe. "I salute the Zanu-PF Youth league ... You are truly the last line of defence ... Nyararai kuchema for now tomirira kuuya kwaDaddy!!!! (don't cry as all will be well when ED returns). They can crush our bones but they can never crush our loyalty to our President!! Even mukatirakasha kusiri kufa ndekupi!! (your thuggery will never defeat us)," Mukupe said in his stunning tweets. Analysts who spoke to this publication also said the events of the past week represented "one of the saddest moments" of post-independent Zimbabwe — noting further that this had badly affected ordinary citizens, the country's dying economy, business and the government itself. Not surprisingly too, Zimbabwe was once again receiving ubiquitous negative coverage around the world, including on influential global satellite television stations such as CNN, BBC and Sky News. "It's a disaster for Zim," the senior Zanu-PF official who spoke to this newspaper said, adding: "This is also happening at a time that the president is overseas, working hard to try and convince investors to come to Zimbabwe". At the same time, Steve Hanke — the world-renowned author, currency and inflation expert, and professor of applied economics at The Johns Hopkins University in the United States of America — says Zimbabwe is now in a "death spiral" economically. "Zimbabwe's annual inflation rate, measured for today, is 234,1 percent. This soaring number spells doom for #Zimbabwe," he said in a tweet at the weekend. And writing on Zimbabwe earlier in Forbes magazine, Hanke said Mnangagwa's pledge that the country was "open for business" was increasingly ringing hollow. "Indeed, many businesses in Zimbabwe are shuttered. An increase in government controlled fuel prices over the weekend has ignited simmering fury over what is in fact a currency crisis. "In response, Zimbabwe's security forces have launched a violent crackdown on protesters and opposition politicians. The crackdown has been done under the cover of a social media blackout. Yes, the Internet is shuttered, too. "Zimbabweans realise that Mnangagwa is simply Mugabe in a new suit and with new rhetoric. The reality is one in which the economy is controlled by what in essence is an organised criminal syndicate: the Zimbabwe African National Union-Patriotic Front (Zanu-PF) party — the same syndicate that has run Zimbabwe into the ground for over 35 years," Hanke concluded. 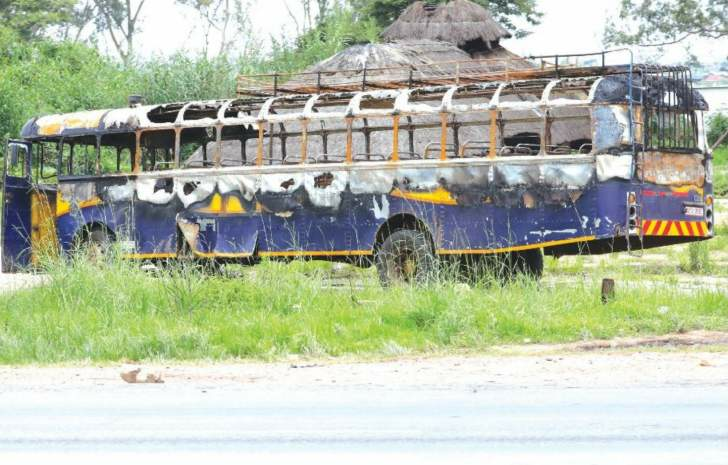 The Zimbabwe Human Rights Commission (ZHRC) warned government that it had to address the current economic meltdown which it said was behind the current unrest. "The Zimbabwe Human Rights Commission has noted with concern the fast deteriorating socio-economic and security situation in Zimbabwe triggered by an assortment of government policy statements and decisions. "These have had far reaching effects on the household economy causing losses in incomes and savings thereby worsening poverty levels in the country. "It is the view of the Commission that most of the austerity measures and decisions are being made with little or no consultation of the relevant stakeholders and citizens and in many instances sound and appear as almost arbitrary," the rights body said in a statement. "As a result there is no buy in or support for these new policies leading to implementation challenges with some key players and citizens resisting the changes. "Related to this, there are no structured policy review mechanisms in place to assess and understand both intended and unintended impact of government decisions and policies on citizens and the economy. "All policies, no matter how well-meant, can have a negative impact that disproportionately affect the disadvantaged members of society. "It is now increasingly difficult for poor families to put food on the table, access medical services, send children to school or enjoy any other socioeconomic rights enshrined in the Constitution of Zimbabwe. "The Government of Zimbabwe, outside pronouncing a number of austerity measures, has not provided a clear roadmap to economic recovery and prosperity. Key determinants of economic growth are not being dealt with decisively," the ZHRC said further in a damning assessment of government's economic measures.